Launching new product lines, building a new 70,000 square foot manufacturing facility, becoming manufacturer of the year, and merging with a multi-billion dollar company is keeping Exactech busy these days. A global leader in their industry sector, Exactech is taking bold steps towards achieving its vision. “Our goal is to be the world’s leading provider of orthopaedic implant devices and surgical instrumentation for extremities and joints. We are here to help people get better and we want to reach as many patients as we can,” said President and CEO David W. Petty. “We have served more than one thousand new patients this year with our new knee system and have also launched an ankle replacement system. Our new manufacturing facility will expand operations and create more jobs over time. We were honored to be named 2017 large manufacturer of the year by the Manufacturers Association of Florida,” added Mr. Petty. Out of more than 20,500 registered manufacturing companies in Florida at the end of 2017, Exactech was only one of three to be recognized. “As the 2017 Manufacturer of the Year (large category) Exactech, Inc. has truly risen above the expectations of today’s manufacturing and they are setting the stage for tomorrow’s standards,” said Manufacturers Association of Florida Executive Director Amanda Bowen. Orthopaedic surgeon Dr. William Petty, his wife Betty Petty, and biomedical engineer Gary Miller, Ph.D., founded Exactech in 1985. David Petty is the son of Dr. and Ms. Petty. He joined Exactech in 1988 and has held successive positions in operations, sales and marketing. Mr. Petty became president in 2007 and CEO in 2014. 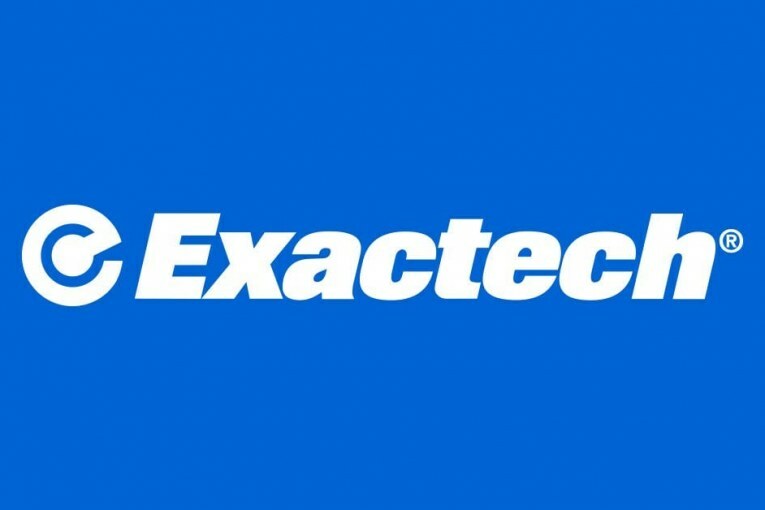 Exactech has over 700 employees worldwide with more than 460 based in Gainesville. Their diverse products are distributed throughout the U.S. and 35+ international markets. Approximately 70% of sales are from the U.S. and 30% are from overseas. Last month, Exactech shareholders took a historic step and approved a merger with TPG Capital. It is the private equity platform of TPG, a leading global alternative asset firm with more than $79 billion under management. As a result of the transaction, which was valued at approximately $737 million, TPG acquired all of the issued and outstanding common stock of Exactech. The Petty family and certain members of Exactech management remain significant shareholders in the new entity. After being publicly-traded for more than 21 years, Exactech ceased trading on the Nasdaq and is now privately-held. Guided by the values of integrity, compassion, teamwork, excellence, and innovation, Exactech has grown from an idea into a global company with over $250 million in annual revenue. “We have a growth story that continues to unfold,” said Priscilla Bennett, Vice President, Corporate and Marketing Communications at Exactech. “Our presence in the community has accelerated and there is a real sense of excitement from our employees and sales team,” added Ms. Bennett. An outstanding company with dynamic leadership, Exactech is successful and positioned for more growth.